After signing a large number of petitions to recall the US Ambassador to Macedonia, Jess Bailey, six Congressmen have started an investigation against the US Ambassador. A few days earlier, Senator Mike Lee called on US Ambassador to Macedonia, Jess Bailey, to explain his policy of awarding millions in grants to the George Soros led Open Society Foundation of Macedonia. Lee shared an article published in The Daily Caller which warned about the activities of the Soros foundation in Macedonia in organizing violent protests aimed at overthrowing the government at a moment when Macedonia is a key country in blocking Soros’ pet project of opening the borders of Europe to unregulated migration from the Middle East. 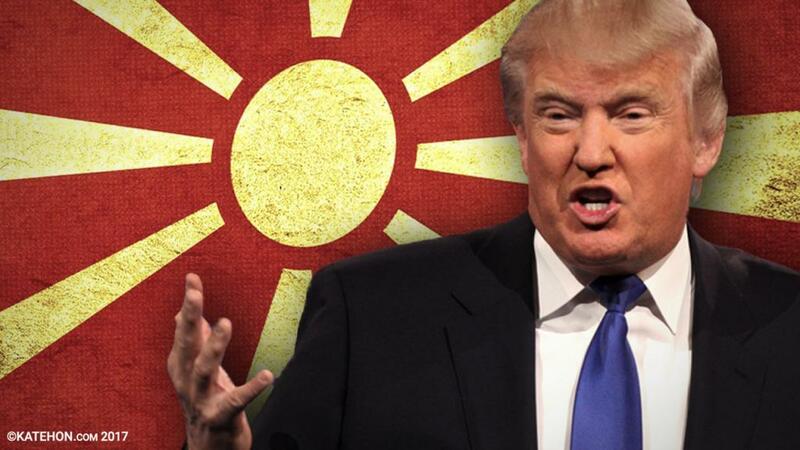 The US Embassy in Macedonia has frequently been the subject of criticism over the tens of millions USD that it has awarded, mainly through the USAID Democracy and Governance project, to the Open Society Foundation of Macedonia directly, and to numerous smaller, affiliated organizations. USAID Macedonia awarded one of the largest such projects to Open Society right before the US Presidential elections, and the 9.5 million USD grant is currently being implemented, according to the recently created Macedonian organization STOP OP SOROS. After the December elections, the conservative VMRO-DPMNE party also called for a process of removing Soros’ influence in Macedonia in the form of the sprawling network of NGO groups that include youth organizations, left wing media outlets, refugee support organizations, and activism schools which were involved in the two years of protests that often turned violent with dozens of injured police officers and sparked a serious political crisis. These protests were narrowly coordinated by the opposition social-democratic SDSM party which provoked the beginning of the crisis three years ago by using unlawfully wiretapped conversations in an attempt to bring down the VMRO-DPMNE-led government. At the end of January, the winning VMRO-DPMNE party did not succeed in gaining a new parliamentarian majority thanks to the pressure and influence by Soros and neoliberal leftovers like the American and British ambassadors in Macedonia, and those in Brussels who still sing the same neoliberal “song”. Indeed, they all, like in chorus, in their public statements repeat that the new government must be created by the SDSM and four other Albanian parties. This is not a real solution for the current political situation and that is why VMRO-DPMNE asked for new elections. But the “foreign neoliberal agents” are trying to prevent that from happening. What they really want is a government and coalition between SDSM and all four minority Albanian parties who will accept a solution for the so-called “name issue”, which means changing the name of the Republic of Macedonia. They’ve been pursuing this for the last 25 years, or since the independence of Macedonia when Soros began his activities in the country. At the very beginning, he brought a list of his “desires”: changing the name, constitution, flag, etc. and affording very special rights for the Albanian minority. He financed the huge NGO sector, and 1993-95, through his Open Society organization, gave money to a number of electronic media (radio and televisions) in every single village, not only in the capital. This was an open social experiment, because in all other Eastern countries he financed only print media. Hence why he and his masters always had many Macedonian media reporting false news and fostering public opinion against everything VMRO's governments have been doing for years to protect Macedonia’s national interests.